On 1 November 1943 the Internationalist Communist Party began to clandestinely publish Prometeo _(Prometheus)_. By 15 October 1944 eleven issues had been printed and distributed. After five months of suspension due to severe difficulties, publication was resumed in April 1945. However, during the winter months of 1944-45, leaflets, pamphlets and typed documents on the general situation, Russia and the war, and the partisan movement continued to be circulated. Twenty-one years after the first issue, Prometeo represented continuity with Livorno 1921, and with the Communist Party of Italy’s (PCd’I) periodical published in 1924 by the Italian Left under the direction of A. Bordiga, later reissued – from 1928 to 1938 – as the organ of the Left Fraction in Belgium. Today, more than seventy years after its birth, the magazine remains as a political reference point and analises events touching on the life and condition of the international proletariat. Prometheus today, just as yesterday, for the revolutionary tomorrow. During the World War this continuity with the revolutionary and internationalist communist tradition immediately clashed with the "new course" of the International, the Soviet Union and the Italian Communist Party (PCI) which had become the fiercest supporter and practical perpetrator of the counterrevolution in Italy at the expense of the single revolutionary opposition internationally. The Internationalist Communist Party was born at the end of 1943. By means of its publications, especially Prometeo, the underground magazine, it aimed to present a class analysis of the situation to the proletarian masses. That is to say, the imperialist nature of the Second World War; the defeat of the October Revolution which, under the guidance of Stalinism, had given birth to an organisation of production and distribution which had nothing to do with socialism since it was completely subordinated to capitalist economic criteria in the shape of a state capitalism treacherously masquerading as socialism; the USSR’s abandonment of any revolutionary perspective and participation in the imperialist conflict while the proletariat was called to defend a non-existent socialism and to sacrifice itself in order to bolster the new, hungry, imperialism disguised as a lamb. The aim also was to promote the subjective conditions for a resumption of revolutionary consciousness. The war and its devastating consequences had galvanised many workers, primarily in the northern industrial centres but not just there, to fight against its crippling cost. By now they realised that they no longer had anything to lose beyond the prospect of dying in the bombing, or continuing to go hungry, without a glimmer of hope for even a minimum respite to physical and psychological suffering. To these proletarians Togliatti’s party, in every respect a servant of Russian imperialism, promised better times if it were organised against fascism, with the support of the "allied" forces including the USSR itself. The aim was not for a revolutionary solution, but to give life to a national, democratic Republic, complete with bourgeois political apparatus and capitalist form of production, which would be re-created in the post-war period, with the same conditions of exploitation as always. There was no scope for a revolutionary solution within the strategy and tactics of Togliatti’s party; no opportunity for a class approach to all the problems that the imperialist war was creating. From the possible architect of revolution, the Italian proletariat had become the instrument of a struggle, not between classes but of support for the class enemy which, as it changed its clothes and discarded coarse wool for a more classic grey bourgeois outfit, needed a strong rallying cry so that fascism could be ditched and replaced by democracy but where the lives of Italian workers would not change, much less the intensified exploitation that would inevitably come into play during post-war reconstruction. Given this context, the partisan movement was not only a movement of liberation from fascism but one that served the capitalist class with its “democratic” pursuit of economic interests – not for the benefit of the mass of the proletariat but to benefit capital. Thus the proletariat would have to fight a civil war, not for its own ends, not to create the political conditions for its own emancipation, but to serve the class enemy so that it could continue its economic exploitation in the name of a rehabilitated democracy, for them at any rate. Whilst at the beginning of the 1920s the Italian bourgeoisie, terrified by the advance of "Bolshevism" and worried that even in Italy the masses would organise themselves for a revolutionary solution, had opened the door to fascism, so at the end of the war they deemed it more appropriate to switch to the "democratic" side, in order to conserve relations between capital and labour. "Social peace" between the bourgeoisie and the proletariat was conserved by channelling the latter towards defending the interests of the former with the help of the ex-Communist Party which had washed up on the shores of its former class enemy. To its credit, the Internationalist Communist Party denounced all of this: The fact that the Bolshevik revolution was definitively defeated, that in Russia there was no longer anything socialist to defend but rather an imperialism which had to be fought against. It criticised the partisan movement which, under the leadership of old and new bourgeois organisations, was the crucial “democratic” cover under which the Italian bourgeoisie created the conditions for its survival after its political collaboration with the fascist dictatorship. It had to explain to the proletarians that their armed struggle must not stop at opposition to fascism, but that the ultimate goal should be the destruction of capitalism, the political revolution against all representatives of the bourgeoisie, including the PCI which was one of the strongest animators in the whole of this tragic scene. In doing so, the Internationalist Communist Party not only found itself up against the traditional bourgeois entities but also the most devious and cowardly opposition from the PCI. Little wonder, therefore, that the leaders of the PCI resorted to a massive campaign of political defamation, of lies and slanders against the internationalists of Prometeo, a campaign which followed the logic of this capitalist power whose interests were best represented by national-communism and the Party whose ambition was to become one of the leading players. Aware of the danger that the proletariat would learn about and make contact with this political body which had a class programme, the bourgeois parties immediately reacted and used every means they could to repress the political and theoretical guide light of the working class. Thus, towards the end of the war and during the years immediately following, all sorts of acts were committed, including out-and-out persecution and, if necessary, the assassination of revolutionary militants. This is a task which – as history shows – the bourgeoisie prefers to entrust to its faithful social democratic and national communist servants. The latter especially have proved effective at purging "sectarianism" from the workers’ movement in their attempts to undermine the class struggle. The PCI was no longer a communist party with the wrong tactic, a political entity that had temporarily lost the plot which could be put back on the right track from within. The Party had definitely passed over to the other side of the barricade and could not be revived. It had to be denounced and fought against. For the PCI leadership the greatest danger was of being bypassed on the left, of losing control of the Italian working class and the partisan movement – those two great opportunities to shape a credible middle-class image, to be accepted by the bourgeoisie as a political force among the others. Not a revolutionary political force, not anti-capitalist, but the purveyor of an unattainable economic and social progress for the "masses” which did not challenge the economic laws of capital. Having ditched the revolutionary aspect of Bolshevism and lowered the red flag of proletarian internationalism, the PCI had taken the road of no return which led it to be the faithful servant of Russian imperialism during the Cold War, the slavish promoter of the theory of socialism in one country, for decades the paladin of bourgeois democracy only to then declare (after the collapse of the USSR) "sorry we were wrong, long live capitalism and long life to capital," not Marx’s Capital, but the capital which is invested in production in order to exploit the proletariat so as to get a "fair" profit. Thus, as the official transfer of power from the hands of the fascists to those of the Democrats approached, Togliatti, Secchia, F. Platone [top level PCI leaders, editor's note] and the PCI as a whole, raged against the extremism which "aims for a progressive stepping up of the political class struggle (...) in a way that serves to cause complications and disorder" (National Council of the PCI, 7 April 1945). So here we have the new face of the old Communist Party of Italy. No more class political struggles, no more social unrest such as strikes or demonstrations or, even less, insurrection against the state and the bourgeoisie for an economic and social alternative. All it had to do now was fight fascism and leave the structure of capitalist social relations standing. It had to gather as many proletarians as possible within the partisan movement in order to direct them towards the mirage of bourgeois democracy. It had to defend the false socialism of the Soviet Union and leave no room for criticism so that the axe of infamy, denunciation as spies and political subterfuge would fall on all those who had remained true communists and fighters for the international proletarian cause, now so antithetical to the new middle class course of the PCI. If this wasn’t such an offensive work of defamation and slanderous insults, it would be hilarious. Those who had renounced Marxism, who had overthrown the entire revolutionary framework of Lenin, who had abandoned the revolutionary project in favour of a bourgeois political practice alongside all the other capitalist organisations, gave themselves the right to denounce the "editors of Prometeo" as traitors. On top of this there was also the instrumental accusation that Prometeo was in the pay of the OVRA, employed to propagate a tactic that discouraged workers from fighting against fascism and Nazism. Nonetheless, all the political communiqués of the Internationalist Communist Party insisted on a very clear concept: whilst the goal was to reach the revolution by the overthrow of the bourgeois state and the construction of the proletarian dictatorship, the strategy was not only to eliminate fascist rule but also to prevent the formation of a regime which, even though discarding fascist organisational and ideological forms, would continue to be so in terms of economic content and the exploitation of labour power. In other words, “no” to fascism but “no” also to the construction of a "democratic" state that would take its place, allowing the Italian bourgeoisie the same economic space it had enjoyed under Fascism and that only the crisis of the Thirties and the outbreak of the second world war had questioned. Since the partisan movement, spearheaded by the PCI alongside and in alliance with bourgeois political organisations, was channelling wide layers of the proletariat towards a goal that was not only their own, but along a road that went in the opposite direction, the task of the revolutionary communists had to be to condemn what was going on and to direct workers’ anger and despair against the war, its actors – including the Soviet Union, against fascism which had called for war and against the bourgeois content of the partisan movement controlled by the parties of the Esarchia. It goes without saying that Scoccimarro’s concern was not the unity of the class as such but that the work of the Internationalist CP would undermine the PCI’s project if it were to lose the support of the more politically aware proletariat, thus weakening the democratic conditioning instruments. For him, as for the PCI leadership as a whole, anti-fascism must remain such, and not become anti-capitalist. "Amongst the increasingly rare evidence of the old debris of Bordigism which has finished up in the cesspool of the Gestapo and the counterrevolution is the appearance of a few numbers of Prometeo (...) clearly distributed by the work of the police." Even in this case the intelligence report and slander border on the ridiculous. Aside from the droll metaphor of the "cesspool" where, incidentally, he and his companions had been immersed for quite some time, referring to the clandestine editions of Prometeo as counterrevolutionary is simply hilarious. If anyone had embraced the counterrevolution and allied themselves with the various bourgeois factions working for the reconstruction of a “democratic capitalism” it certainly was not the adherents of Prometeo, but the very renegades of the PCI amongst whom Secchia played a principal part. And then the way the newspaper "of the counterrevolution" was "obviously distributed by the police" is another part of a perverse political mosaic. It is true that some of the left Trotskyite groupings, as well as other groups, were infiltrated by spies and OVRA collaborators, but to state that the Internationalist PC was in the pay of fascism and the Gestapo is a complete slander that could only have been put into circulation by the perverse mind of a bitter class opponent. By contrast and in disagreement with the vulgar provocateurs and the PCI, the fascist police report to Mussolini on the underground press was forced to admit the "authenticity of Prometeo", "despite the accusations of the other Communist papers inspired by Comrade Ercoli (Togliatti) ". (Report of 14 April 1944). The only independent journal. Ideologically the most interesting and the best prepared. Against any compromise: defends a pure communism, undoubtedly Trotskyist and thus anti-Stalinist. Declares itself without hesitation to be an adversary of Stalin’s Russia whilst proclaiming itself a faithful fighter for the Russia of Lenin. Opposed to the war from every aspect: democratic, fascist or Stalinist. Therefore even struggles openly against the “partisans”, the Committee of National Liberation and the Italian Communist Party. Apart from the usual confusion between the PCInt and Trotskyism, typical of the time and of the ignorance of the fascist “Intelligence” experts, the informant was correct, firstly about the “independent journal”, i.e. not financed by anybody else, much less by state organs; secondly in political terms where it refers to the fact that the fundamental characteristic of the internationalist organisation is that it is against the war, against the Stalinism of the counterrevolution in Russia, against the partisan movement for being the bourgeois ideological cage which restricted the proletarian masses to a "democratic", not a revolutionary project. The Bulletin of the Milan Communist Federation directly urged the punitive squads of Togliatti’s “new” party to physically eliminate the “traitor” Onorato Damen. This is after PCI members had already called for the “liquidation of O. Damen and his followers” inside the CLN (Committee of National Liberation) without, however, obtaining official endorsement. Unfortunately, however, the campaign of denigration, threats and incitement against the internationalists demanded and carried out primarily by national-communism did achieve one of its objectives. In Italy two more names – direct victims of Togliatti’s henchmen – can be added to the long and tragic list of victims at the hands of Stalin’s assassins throughout the world: comrades Fausto Atti and Mario Acquaviva were assassinated in March and July 1945. They were both victims of the technique of physical elimination of the adversary, a particular characteristic of fascism and Stalinism, as well as a feature of the bourgeois counterrevolution in general. But to return to the accusations of being agents of the secret police (OVRA), the Gestapo and the like, we might simply reply, “that’s rich”. If there was ever an organisation full of spies, collaborators with the OVRA, double agents, previously real fascists then truly false communists, it was the party of Togliatti. We know that when the CLN "conquered" Rome there was a rush among the ranks of the Brigades linked to the PCI to get their hands on the records of the secret police and the Ministry of the Interior, to wipe their names from payrolls and re-establish their political "virginity", something, however, which they never had. Not only that, collaboration with the fascist Intelligence agencies extended right up into the PCI leadership. Amongst these are the names of Platone and Ignazio Silone (alias Severino Tranquilli) who were collaborators with the regime, the second right from the time of the Socialist Party, the Communist Party of Italy not yet being established, and the first began to donate his services "only" just before the war broke out. Conversely, the Internationalist Communist Party, whilst not escaping the notice of the OVRA and all the rest of the fascist police, was ideologically independent and not infected like other organisations on the left by the PCI’s corrupt and colluding infiltration from the base to the top of the organisation. Perhaps that is why the bitterness of the various Togliattis, Secchias, Scoccimarros and Platones was particularly vicious and was to accompany the political battle against the true revolutionaries, accusing them of every possible infamy, simply to hide the change of course of the now ex-communist party which was complying with bourgeois policies and which had completely abandoned the class struggle and the interests of both the Italian and international proletariat. However, the leopard cannot change its spots. Even today many neo-Stalinists, short of arguments against Prometeo, continue to repeat the same old absurd accusations, as infamous as they are, thus proving to be "worthy" epigones of the counter-revolution in Italy. Defamations, persecutions and murders have not put a stop to the internationalist communists and Prometeo. For over seven decades, since that distant November 1943, both have remained true to the traditions of the Italian Left and advanced the fundamental principles of revolutionary Marxism, in line with the materialist and dialectical interpretation of history. The first series of Prometeo acted as the mouthpiece for the Italian Left within the young Communist Party of Italy. It was a magazine of Marxist education which for a few years provided theoretical direction against the opportunism of the right fractions. In the second series it was the vehicle for the left fraction of the Communist Party of Italy which was established outside the country – in Pantin (France) – in 1928 to continue the work of theoretical and political clarification on the basis of the mistakes and defeats suffered by the proletariat worldwide. Today Prometeo is still published by the Internationalist Communist Party, the direct heir of the tradition that began with the Conference of Imola (1920) and the foundation of the P.C. of Italy at Livorno, 1921. Its task is to engage with the terrible crisis which is undermining the capitalist world, specifically to carry out the difficult task of staying the course toward the revolutionary goal, to be present in the social battles to come, to contend against the omens of war which are getting stronger and stronger and unbearable, against the economic crisis which underlies this and against all kinds of violence against the general populace, the proletariat which, as always, is called on personally to bear the brunt of the crisis. It has to contend against the devastation of the natural world which the crisis of capitalism imposes day after day. It is for a revolutionary solution that extinguishes so much barbarism and creates the foundations for the construction of a classless society without exploitation, and free from the awful and irremediable contradictions of capitalism. Some may say that, like the Prometeo magazine to which we refer, our ideas are outdated and that modern society is quite different from Lenin’s time, the Russian Revolution and political romanticism. Our reply is that it is true, international capitalism has changed, but for the worse. Its crises are increasingly deep and wide, the rich are increasingly reduced in number but richer, while the poor swell in number but are increasingly poorer. Instead of making everybody better off, technological development concentrates wealth in the hands of a few while hundreds of millions of families across five continents are struggling to survive and make it to the end of the month. While reducing the time and the cost of production of goods and services, the development of the productive forces creates unemployment and increased exploitation for those who remain in the production process. Huge investments in capital goods expel an ever growing mass of workers and thus increasingly limit the basis for reviving the depressed rate of profit. This last phenomenon is the basis of the flight of capital from real production to speculation whose bubble burst in 2008 and kicked off the current crisis. Despite the efforts of the US, Japan and EU, which have pumped tens of thousands of billions of dollars, yen and euro into the banking system, the crisis has not been resolved. Instead, here it remains because the financial system as a whole is unable to solve the problem of “non-performing loans" for the simple reason that the crisis has devastated the real economy and left it even worse than before the bursting of the speculative bubble. In the short to medium term banks will be wary of being the driving force for economic stimulus since they are burdened with bad debts for hundreds of billions of Euros or dollars and are not confident in the economic recovery. So the capitalist system remains in deadlock, the banks are still licking their wounds, do not lend money to companies or when they do it is at usurious interest rates and the long-desired and invoked recovery is struggling or has absolutely escaped. In response to the blows of the economic crisis, this "new" capitalism which has nothing to do with the old one, has launched a social crisis. It has increased its military activity in parts of the world that are key for energy and are strategically the most important. Since the Arab uprisings (Tunisia, Egypt, Yemen) capital has turned to civil war and to real military intervention as in Syria and Libya. The protagonists are always the same: the United States which is never absent from any imperialist spat; Russia, which moves militarily from the same ambitions but with opposite actions; England and France, chasing the dream of returning to become a key imperialist power in the southern Mediterranean and North Africa; Turkey and Iran whose armies clash in the stormy Kurdish regions. Futhermore, this international economic crisis has encouraged the birth and development of a Sunni version of jihadism: the ferocious killers who are both the instrument and victim of the imperialism that first supported them, if not invented them, and then fought against them as the embodiment of absolute evil. Meanwhile large and small imperialist powers collide with each other in bouts of fighting and shifting alliances, depending on the opportunity of the moment, claiming civilian casualties in the hundreds of thousands, triggering a frightening biblical exodus of people fleeing from war and hunger. Millions of proletarians are being used as cannon fodder on all the battle fronts. And here lies the same old problem. Our allusion to the past, to the tradition of the communist left is intended to indicate to the international proletariat – whether exploited by capital in the "citadels" of traditional capitalism, in Japan, the US, in old Europe, China or in the emerging countries – that it must begin to strike back against its class enemy. A major reason why proletarians are fighting for Assad or against Assad, for Serraj or against him, in the name of Allah or under the banner of a “neo-Crusading” Christianity which means nothing more than fighting for Russian imperialism rather than American, for Turkish or Iranian interests, for Anglo-French interests in Libya as against the more domestic interests of ENI and the Renzi government which opposes the “neo-colonial” designs of its French ally and competitor. The continuous denunciation of imperialist barbarity is the starting point for building a class consciousness which must be able to distinguish working class interests from those of the class enemy. You cannot fight imperialism by siding with part of it, just as you cannot achieve class autonomy without independent organisation, without a tactic and a strategy to distance it from all the bourgeois parties, from the world of warfare, exploitation and false ideologies. Thus, today exactly as yesterday. Prometeo ­– named after the mythological hero who was chained to the rocks of the Caucasus for stealing the fire of consciousness from the gods and giving it to humans – represents a tradition and a programme. The tradition is that of the Communist Left, the programme is that of the international communist revolution. Both were born in 1943 against the mayhem of World War II and today, again, against the same system of exploitation where the "new" capitalism and its "new" imperialist tentacles are preparing a wider conflict – one which, in many ways, has already thoroughly started – and which threatens to further expand in the wake of an economic crisis which shows no sign of conceding to the recovery prognosis. The new Prometeo wants to get the world proletariat away from capital, its crisis and its wars; from a situation where the working class is in danger of, once again, being sacrificed for the imperialist interests of a capitalist society facing a perennial profits crisis and therefore more aggressive, cruel, with no way out other than massive destruction of the means of production, the super-exploitation of the proletariat and the progressive impoverishment of the masses who are more and more on the edge of a "normal" life, and more and more objects of struggle and wars that are not theirs. Nothing new you might say. Today, just as yesterday. Except that now the level of barbarity is higher. To oppose war means you have to be against capitalism and its thousand aspects. You have to be against every kind of nationalism as well as all forms of control by an economic system based on exploitation of the workforce. Against all forms of government, whether dressed in mystical, theocratic, secular, garb or under the guise of a false democracy which nevertheless, is always ready to put on the fascist uniform of the most violent repression, when the vicissitudes of the class struggle make it necessary. Nothing new you might say: today just like yesterday and also tomorrow, if the international proletariat does not react to the impact of the economic and political crisis and start to struggle against capital and for its overturning. The anti-fascism of the democratic parties, which at the highpoint of the Italian crisis stood alongside fascism as if it were a big brother; the anti-fascism of the glorious old socialist party whose stupid congenital verbosity emphasises its weaknesses and mistakes, is not our anti-fascism. If anything, communism is anti-fascist in the same way that it is anti-liberal and anti-democratic. Thus, for us the distinction between fascist and anti-fascist bourgeoisie is a particularly arbitrary and artificial polemic since both of them stem from from the same historical matrix. We conceive of the struggle against fascism as a struggle that must be conducted first of all, and above all, against capitalism; that all the hatred which the foolish fear of loss of privilege can inspire has been embodied in fascism and strengthened it to make it the blind and brutal architect of class revenge. Whoever distinguishes fascism from the bourgeoisie, the fascist war from the democratic war, whether at the theoretical level or in terms of the political struggle, is objectively, perhaps unconsciously, potentially fascist. A prophecy? No, it’s an excellent use of the analysis of capitalism’s own development. This is, and remains, a warning to all those "anti-fascists" who, in the name of fighting dictatorship, save and strengthen the economic system that creates it. Anyone who is politically limited to supporting anti-fascism in favour of bourgeois democracy oscillates between two forms of capitalist administration. Condemning one strengthens the second, whilst praising the second discourages the first without, however, ever questioning capitalism as a whole. To those who argue that even the worst of democracies is better than fascism, we reply that alternating the two forms of capitalist administration is a result of the necessity to conserve a society divided into classes. 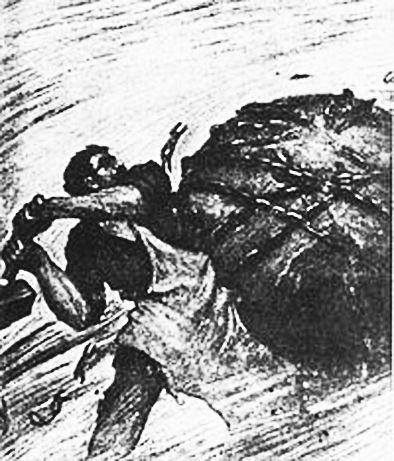 When the class struggle is latent, "democratic" management of the exploitation of the labour force is better for capital and its economic interests. When the class struggle dangerously raises its head, the use of force, dictatorship, are the only remaining options for bourgeois conservation. It is the evolution of the class struggle which requires capitalism to follow one road rather than another. But if we restricted ourselves to struggling against only the most ferocious aspect of capitalist power-wielding in favour of a "democratic" solution to the struggle itself, we would be complicit in an act of betrayal of the historic interests of the class. So: class struggle against any form of dictatorship, against any "democratic" management of capitalist exploitation, class struggle for communism, a classless society where the interest of the collectivity will be the norm for the organisation of production and social distribution. For a world where there will be no class interests to justify and defend by force of dictatorship or by the con-trick of false democracy. Organizzazione per la Vigilanza e la Repressione dell'Antifascismo or "Organisation for Vigilance and the Repression of Anti-Fascism", Mussolini’s secret police, founded in 1927. Government by six, in this case a coalition of the parties united in the C.L.N. (Liberals, Christian-Democrats, Party of Action, Socialists, PCI and a so-called Democratic-Labour group associated with Bonomi) who were acting as a transitional government until a Constituent Assembly could be elected. A consultative body set up by the interim coalition government in 1945 before the 1946 referendum on what form the post-war, post-fascist Italian state should take. Documents are now in the Italian state archive. Major Italian energy company, originally established by the state.